Came back to this slightly lonely place on the internet, but a very warm one for me - my first address on the worldwide web. In action since 2005 though 2017 was its leanest period... this is the first and last post of the year. I had to come back here to complete that annual ritual of mine to list down my favourite book, movies and 'things' of the year. Surprisingly, the 'thing' that really surprised me this year was 'television' or whatever you call streaming services like Netflix or Hotstar or Amazon Prime. I watched a few but amazingly good shows that kept me hooked. Hadn't binged so much since I found 24! A delicious recreation of a period in the 1970s when two FBI agents were waking the Bureau up to the fact that many murders may be connected by a single killer, with motives that may be linked to their troubled pasts. And these murders in sequence may have been done by people whom they tentatively called 'serial killers'. Strictly speaking, this is a 2016 show which I saw in 2017. The show did a great job of piecing together the bits and pieces we remember from the murder in 1994 and bringing them alive by connecting them to today's society, pop culture and people. For the first time in my life, I was searching the 'net for merchandise of a TV show. That's how much Will, Mike, Lucas, Eleven and Dustin affected me. And you know the strangest thing? It is not even among the top two shows of the year. The biggest disadvantage this show started with was a ST plot similarity... a young boy goes missing in a small town with a mysterious industrial facility nearby. This is where it ended because the show then turned upside down, turned dark, turned timeless. If ST is Master Alankar, Dark is Amitabh Bachchan. They probably released this season on 29 Dec to mess up with a lot of show rankings that had been locked by then. And they did exactly that. 2017 was the year of the small film. Feel-good, warm stories with low-key actors but on a range of topics that's as entertaining as they are heartening. A neat part-humour, part-thriller, full-clever film that catches on to the Bengali obsessions of literature, food, nostalgia, intelligent humour and Satyajit Ray really well! In terms of art design, locations, costumes, cinematography, this film matched international standards. And in terms of music and story, it matched Bengali standards. A wonderful example of a traditional story of homecoming told in a modern style. I am a bit of a Christopher Nolan fanboy, so this is kind of expected. What is unique about Dunkirk is how absolutely the film surrounds your senses of sight and vision. This is the most unexpected entry in the list, even for me. When I watched the film, I was bowled over by the subject but was left a little less than satisfied in the execution. Too many open strands that could have been brought together for a satisfying climax, I thought. But when I rewatched it on TV, the film made me smile unexpectedly so many times... So many times was I completely identified with the two fans of pulp fiction and Hindi film music growing up in 1980s Calcutta... So many times I wanted to make a 'mix tape'... that this just had to be in my list. One scene: A wimpish writer is being trained to become badass. After a few days of training, he blocks a busy lane of a small town with his bike, saunters off to buy paan and returns with swag as people around him scream and swear. A luscious set in 1970s Bihar, a lot has been said about this film already. Can't think of a more assured debut by a director in a very long time. A year in which I focused a lot, threw away a lot of distractions to read significantly (about 2x) more than my last few years. Managed to read a good number of Bengali books as well. It is the type of book that casually, almost imperceptibly covers a whole lot of material about Hollywood in a shortish 240-page expanse. 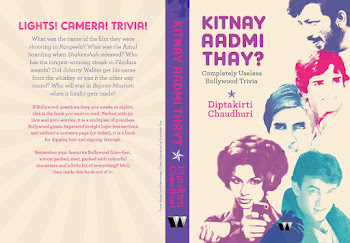 The type of book you love so much that you want to write a similar one on Bollywood. And then you remember that you already did! An in-depth look at the Ramsay family AKA Ramsay Brothers, the greatest purveyor of horror in India. Enough said! A fascinating deep-dive into Google's search trends to see what people all over the world are looking for, thus who they really are. And as the author establishes fairly early in the book... Google is what we are, Facebook is what we want other people to think we are. 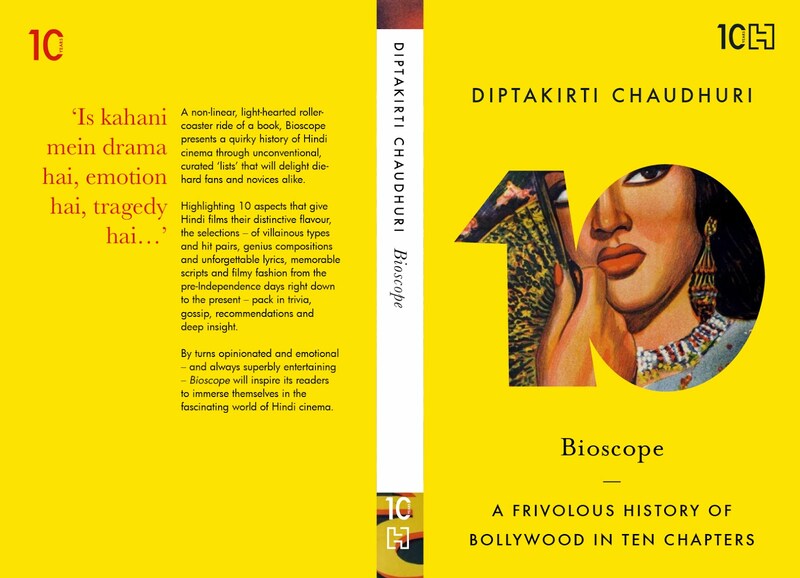 The Mahabharat turns macabre in a serial killer tale, set in the city that is known for food and warm, fuzzy feelings. Both the original book and the city are big favourites of mine and this book does a fab job of blending the two in the most iconoclastic, most gory, most gripping ways possible. 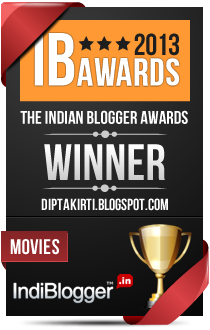 And the protagonist seemed liked Abhimanyu to me. Except that she was a woman. A Muslim woman. Yeah, the book messes with you like that. You could call this a 'brief history of Bengali literature' written by the man who literally ran the biggest and most successful Bengali publishing company - Ananda Publishers. The author's ability to win friends, influence people and then remember the stories is truly phenomenal, resulting in a book that's one for the times. I will keep on saying this... this is probably the best collection of short stories ever to be published in Bengali. It would be pertinent to point out that I had read about fifty books in the first six months of the year and only ten in the last six. The reason for this imbalance was that I was doing the only thing I enjoy more than reading - writing about my favourite subject. So, this might also be a good time to quietly announce that a book of mine would be coming out in early-2018. 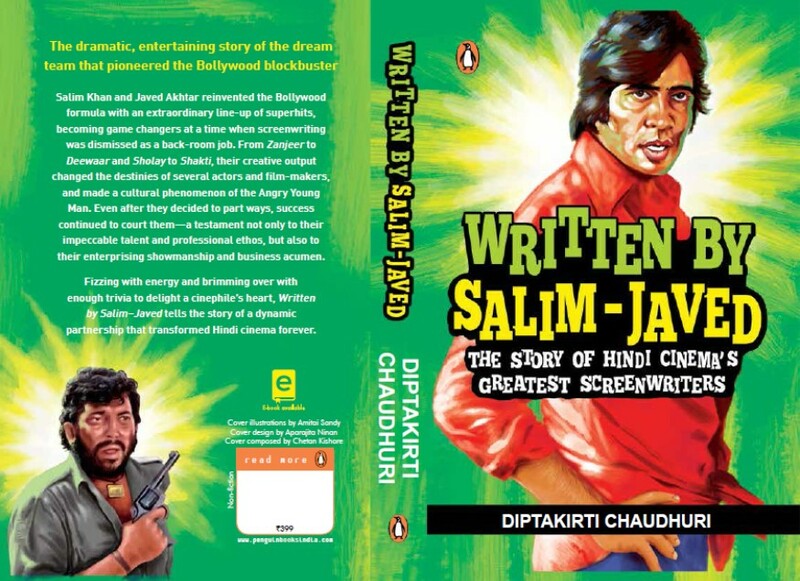 It is a short book, a 'history' of Hindi cinema as we know it. And as people who have read anything of this blog or my books would know, the inverted commas around the history is very important. It is not deep, scholarly, bespectacled history. It is frivolous, silly, tongue-in-cheek history with lots of stories, trivia and random footnotes! More details soon... watch this space. Here's wishing 2018 be the year where you find success and happiness in abundance, in equal measure! Completely agree with your statement that Black Mirror is perhaps the greatest TV show ever created. People vs. OJ was also insanely good. One thing I have noticed is that the production quality of these TV shows is mind-bogglingly good! Please keep writing on this blog. 2017 only saw the end of the year re-cap of shows. You have many fans out there who would like to reach out and request you to keep writing and keep us all thrilled. 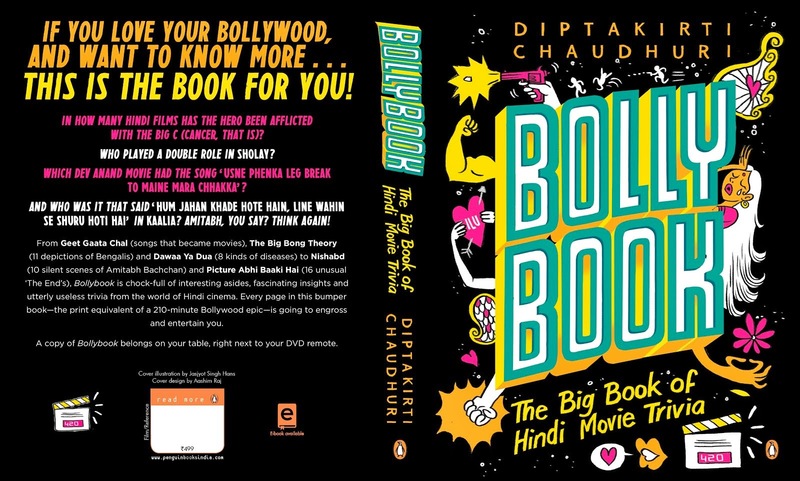 I loved your Bolly Book. That was epic.